The rate of growth of global carbon emissions from energy use will be 25 per cent between 2013 and 2035, says British energy giant BP in its annual report Energy Outlook 2035. This rate is slightly lower than previous estimates, but it is still higher than the rate required to limit the rise of global average temperature to within 2 degrees Celsius, a globally accepted threshold scientists say could avoid the worst effects of climate change. Emissions are expected to increase at an average rate of one per cent per year from 2013 to 2035, says the report released on February 17. Last year, BP had said that global carbon emissions from energy use would increase by 29 per cent to 2035. The projections this year show a slower rate of growth in carbon dioxide because the share of natural gas and renewables in the energy sector is increasing. 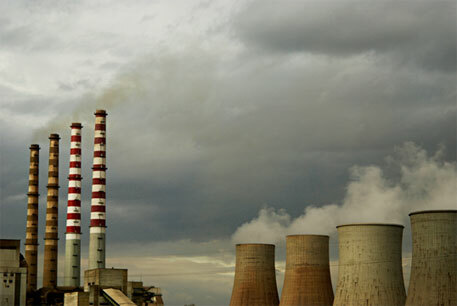 Carbon emissions in 2035 will still be nearly double of the 1990 levels, says the report. It further suggests that global demand for energy is expected to rise by 37 per cent from 2013 to 2035, or by an average of 1.4 per cent a year. “Despite the dramatic recent weakening in global energy markets, ongoing economic expansion in Asia – particularly in China and India – will drive continued growth in the world’s demand for energy over the next 20 years,” says a press release by the company.